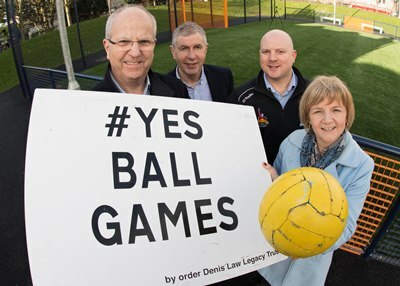 Graham Thom, Chairman of the Denis Law Legacy Trust: “It’s a big thrill for all of us at the Denis Law Legacy Trust to see this project come to fruition. The Johan Cruyff Foundation helps children to move up in life by being active so they can play together and grow in their development. Sport and play improves the fitness of the children, teaches them to get along, and helps them to develop. That’s why the Cruyff Foundation encourages children to get active through projects such as Cruyff Courts, Schoolyard14, and sports projects for children with a disability.